The BBC - British Broadcasting Corporation - is the UK's public service broadcaster. The BBC's services include ten national television channels, ten national radio stations, 40 local radio stations and BBC World Service, which broadcasts to the world in 27 languages. 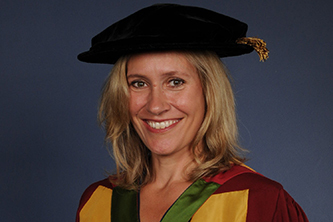 Sophie Raworth is one of the most recognisable faces on British television. A respected journalist, she is the main presenter of BBC News at One and regularly appears on the BBC News at Six and BBC News at Ten. Since January 2013, Dr Raworth has also been a guest presenter on the flagship current affairs programme The Andrew Marrs Show and the main relief presenter for BBC News at Six and a regular relief presenter on the BBC News at Ten. In 1992, Sophie joined the BBC as a trainee, beginning work as a news reporter for BBC Greater Manchester Radio and then as a BBC Regions correspondent in Brussels in 1994. In 1995, she returned to Leeds and joined the BBC's Look North programme, where she first presented the news as well as continuing to report and produce it. She then made the step to national television as co-presenter of Breakfast News for the BBC in 1997 and also anchored this programme from Los Angeles on Academy Awards night and from Washington during the impeachment trial of President Clinton. In 2003 she moved to the BBC Six O'Clock News which she presented alongside George Alagiah. In addition to her regular presenting roles, Dr Raworth has presented several BBC specials, including the coverage of the Queen's Golden Jubilee and the programme Our Monarch - the Next 50 Years. Dr Raworth is a passionate ambassador for the profession of journalism and for qualifications in journalism. She has been a regular visitor to City, giving talks to students from the Department of Journalism and taking the time to provide advice to individual students. By taking part in the London Marathon, Sophie has raised tens of thousands of pounds for charities including Cancer Research, The Prince's Trust and St John's Ambulance. 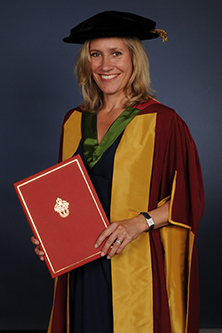 Dr Raworth was educated at St Paul's Girls' School in Hammersmith, the University of Manchester (French and German) and City (Broadcast Journalism).